Why pay for dozens of costly throw away batteries when you can simply re-charge them*? Ultra lightweight USB 13 oz. 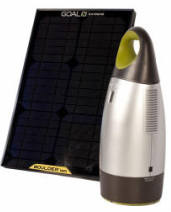 solar charging system that fits in your pocket. 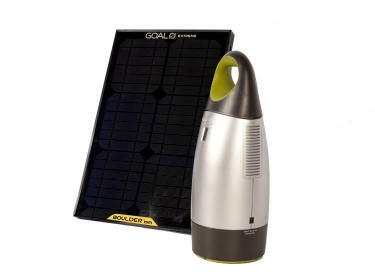 The Guide 10 Adventure Kit includes a 7m Solar Panel which delivers an ultra-compact yet powerful solar panel that enables you to charge your handheld devices directly from its USB and 12 Volt DC charging ports. 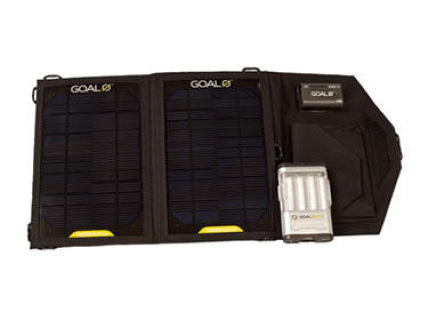 Ultra-Lightweight USB solar charging system that fits in your pocket. 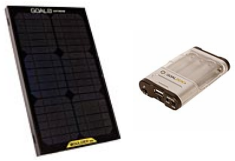 Use as a single unit power pack to power your device or as a power source to recharge the batteries for use in AA or AAA battery powered devices. 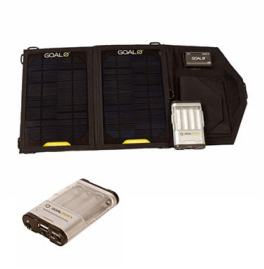 Recharge you cell phone 1-3 times per charge with the Guide 10 Power Pack. Charge up the Guide 10 Power Pack with the Nomad 7 Solar Panel in 1.5 hours or via USB in 6 hours. Store 150 watts of power with integrated 80 watt AC inverter.